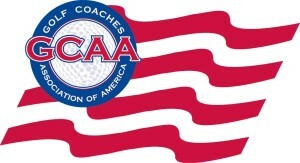 Is currently ranked among the top 15 in all four major rankings, including first in the Golfweek/Sagarin Ranking and second in the Golfstat College Ranking. 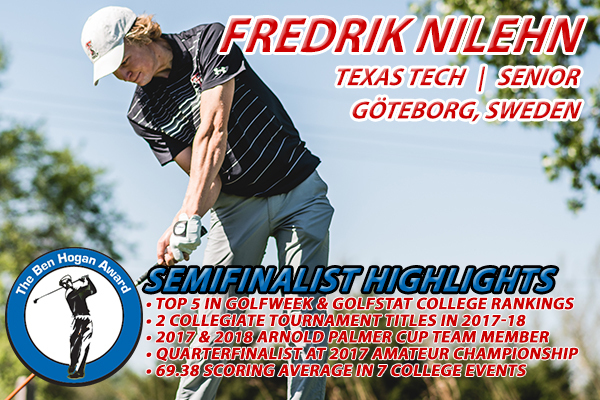 On the amateur lists, he is sixth in the World Amateur Golf Ranking and 14th in the Scratch Players World Amateur Ranking. 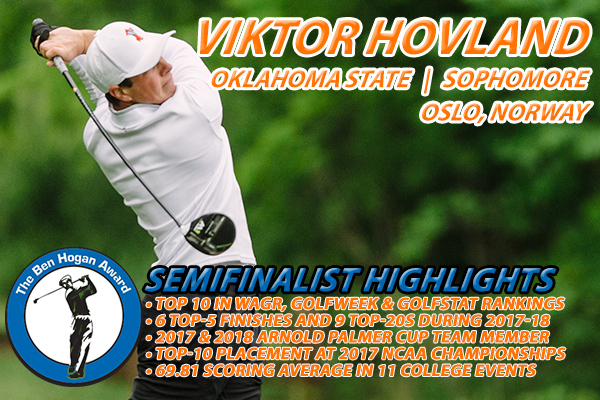 Is tied for the NCAA lead in victories this season with five, claiming titles at the Trinity Forest Invitational, Saint Mary’s Invitational, Amer Ari Invitational, Southern Highlands Collegiate and Pac-12 Championships. Won the Pac-12 Championships by four strokes with a 72-hole sum of 268 (-16) to lead the Trojans to the team title. 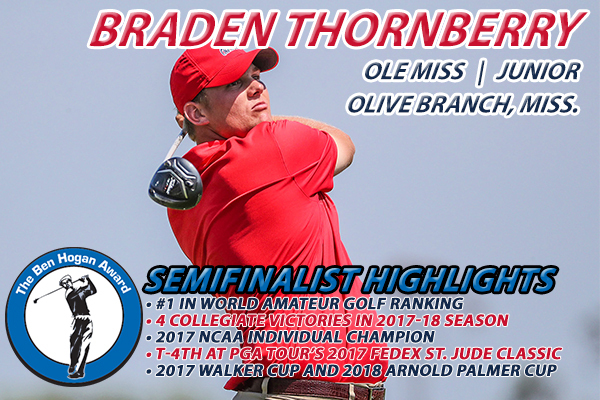 Owns a 68.47 collegiate scoring average over 30 rounds, which includes 20 scores in the 60s. 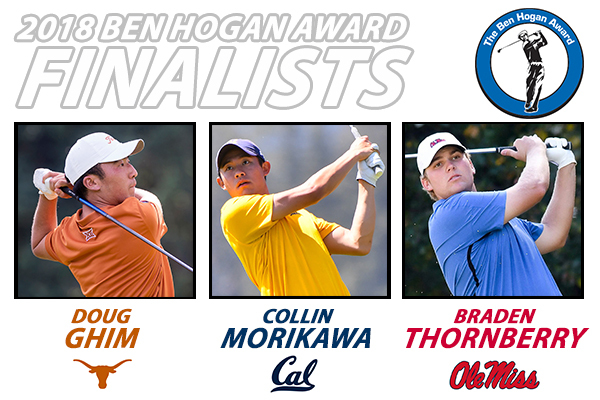 Has placed in the top five in eight of 10 college tournaments this season, and inside the top 10 in all but one event. 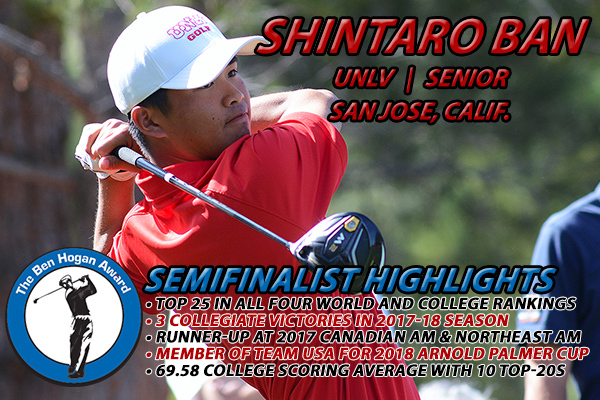 Is a member of Team USA for the 2018 Arnold Palmer Cup. 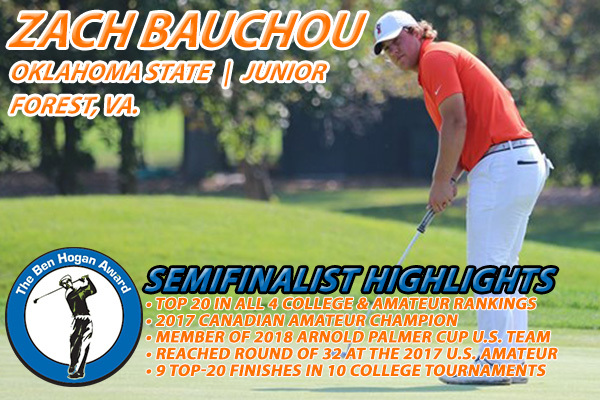 Advanced to the match play round of 64 at the 2017 U.S. Amateur. 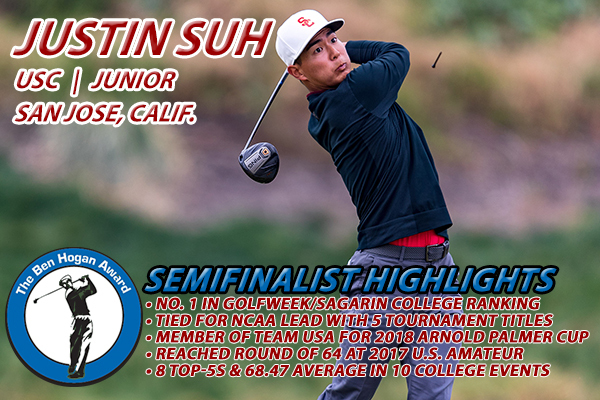 Secured a top-10 finish (T9) at the Sunnehanna Amateur last summer and shared 18th place at the Pacific Coast Amateur. 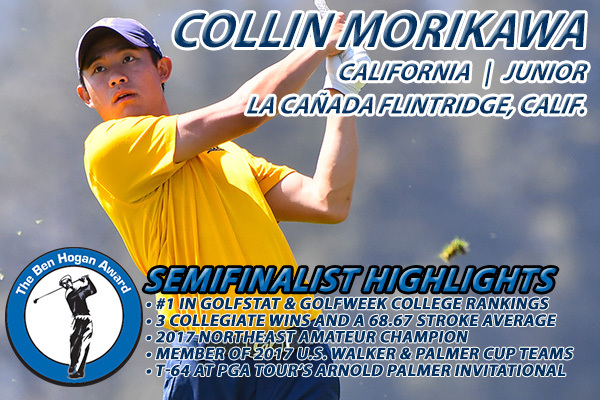 Was the medal-round runner up and qualified for the match play round of 32 at the 2017 California State Amateur. 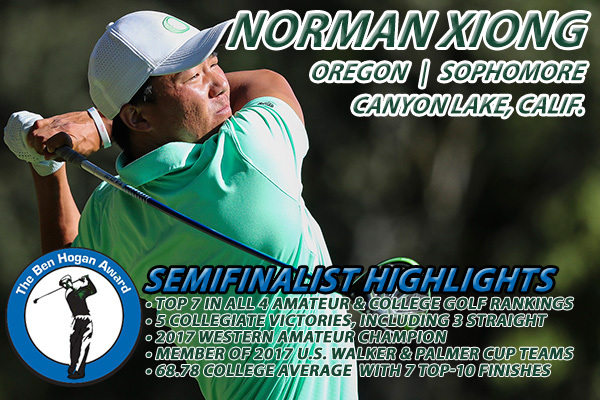 Tied for eighth at the 2017 U.S. Open Sectional Qualifying.